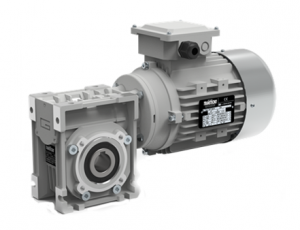 CM Gearboxes can be available from size 30 to size 150 and can be fitted with both 3 phase and Single-phase motors, upto 3.0kW. This gearbox can be supplied with all common accessories such as flanges, foot flanges, hand wheel variator brake and backstop motors. The pricing structure for this product is geared towards offering an extremely competitive product whilst ensuring reliability and performance. CM Gearboxes can be available from size 30 to size 150 and can be fitted with both 3 phase and Single-phase motors, upto 3.0kW. This gearbox can be supplied with all common accessories such as flanges, foot flanges, hand wheel variator brake and backstop motors. The high degree of modularity is a design feature of CM and CMP wormgearmotors range thanks to a wide selection of input and output kits. If you would like to learn more or enquire about CM Worm gearmotors please get in contact via the form below and a member of our team will be in touch.